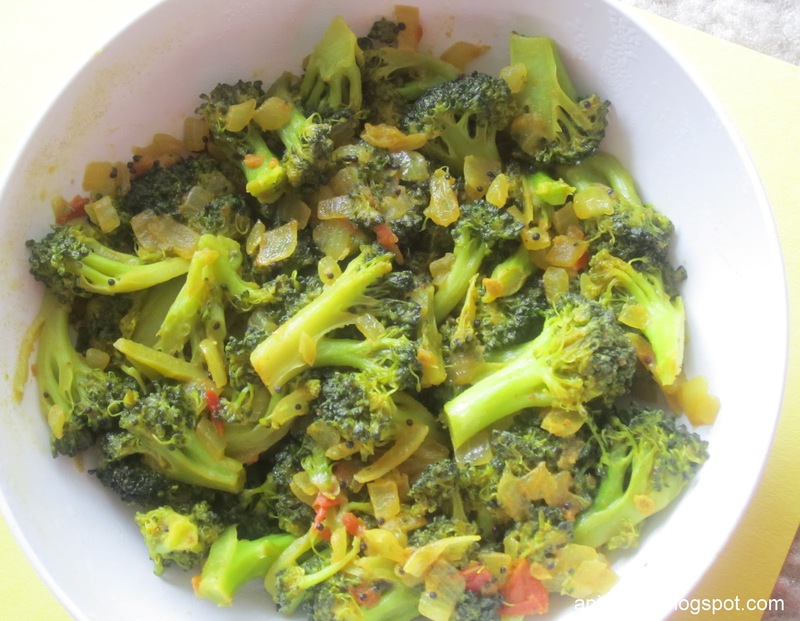 Broccoli is one of low calorie food and rich in dietary fiber. It help to protect cancer and strokes. So good to have a broccoli in our daily diet. Heat oil in a pan,add mustard seeds. Once sputters add onion and cook for few minutes. Add tomato,turmeric powder,salt and chilli powder. Cook till spices get cooked. Add broccoli florets and mix well.Cover it and cook it until florets become soft.